The life of a homeschooling mom is hard, ladies; you know the struggle is real. It is important for us to set the tone for our home, to keep the squabbles to a minimum, help facilitate learning and all while being the CEO of a family and a home. This is not an easy task, and definitely not for the faint of heart. The gravity of it all can make any woman weary, especially if you have multiple children. 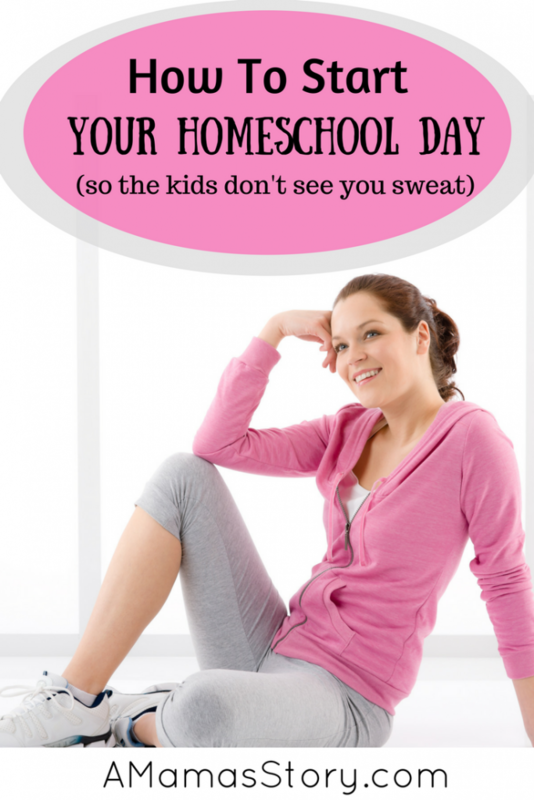 Here are a few tried and true tips though, to help you start your homeschool day so your children don’t see you sweat. You can do this, and do it with such finesse that you leave everyone wondering how you accomplish so much in one single rotation of the earth. You cannot put yourself in the right frame of mind to conquer the day if you are the last one out of bed. It is impossible. You need to get up and have a bit of time for yourself before tackling the day and catering to others. I assume we all want to do this, but if we are honest, we may not do it as consistently as we think. God listens to us, he holds a special place for mothers as we are helping to grow and train soldiers for him, he hears us ladies, talk to him. Ask God to be with you through the day, keeping your patience to a maximum and your voice to a minimum. If you don’t have time for a full on aerobic workout, simply stretch and maybe do some core strength training. Even just actively using 15 minutes to do something for your body will help throughout your entire day. Have something hot to drink. Coffee is always a homeschooling mom’s best friend, but if that isn’t for you, a cup of tea. Let it warm your hands as you relax for just a few moments, and bonus points if you get a chance to finish it before it is either cold or little feet start scampering through the house. If he leaves for work early, a quick call or text to let him know that you were thinking of him first thing in the morning. If he is home with you, a moment to give him a kiss and let him know how important he is. Our marital relationship can play a big role in the tone of our home; let your morning start out right on all fronts. If you use schedules for the kids, great, give them a quick glance. Organize your books for the day, make sure there are pencils sharpened, and make your To-Do list. Be sure that breakfast is in the works and there is paper in the printer, whatever you need to organize the day to go smoothly. Every day can either be a blessing to a homeschooling mom, or it can be a struggle. Much of this begins with our attitude, let today be a fantastic day, don’t let them see you sweat. Good tips, believing in yourself and getting the necessary support is critical! Thanks for sharing this at the Dishing It & Digging It Link Party. Thanks, Christine!! It’s amazing what a confidence booster can be, eh? Thanks so much for visiting. oh, boy, did I need this reminder! I am not a morning person. After many years of homeschooling, I still have to work at getting myself up and at ’em. Thanks for the pep talk! Stopping by from the Encouraging Hearts & Home blog hop. Linda, so true! <3 I'm not a morning person either. In the past, when I only had 2 children who were very young, I got so much done during those late night hours. I've stayed up late to take care of chores for the last few nights, and it's negatively affected our daily routine. Unlike years ago when I had those 2 little ones who were 22 months apart, now I have 7, from 13 months to high school aged, and it's a different season! At first I was excited about the amount of work that I could do when everyone was asleep, but I haven't been productive at all during the last few days. No more of that! Im getting back to making sure my mornings are productive and I'm here for my family. Thanks so much for visiting. This is extremely good advice for so many of us, whether we homeschool or not! 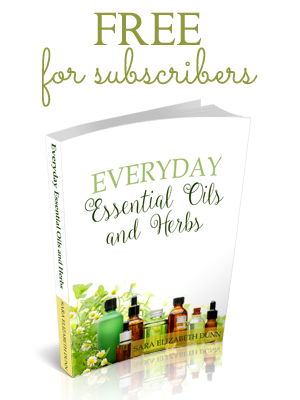 Thank you so much for sharing this post with us at Hearth and Soul. Great tips! I may be homeschooling my daughter next year and this will come in handy to remind me to take time for me. Saw your link at Awesome Life Friday Linky. Thanks so much for visiting, Kristine! 🙂 How exciting to hear that you’re getting ready for a grand adventure. I remember being nervous when I started homeschooling, but now I can’t imagine a different way of life. Feel free to ask any questions that you may have. After homeschooling for over a decade, it’s is a popular topic around here. I agree. I don’t homeschool anymore, but these are the tips that helped me get through the time that I did. These are great! A topic I often don’t hear homeschoolers address! It would be my #1 problem! Thanks for joining Home Sweet Home! Thanks, Sherry! It’s awesome to have slow, relaxed mornings, but at the same time, if I don’t have enough structure built in, we may not get to schoolwork until everyone is ready for rest time. Ack! Thanks so much, Theresa. 🙂 I hope you have a great week ahead.